What Can We Learn From Best Buy’s Embrace Of IoT? Best Buy surprised analysts with stronger-than-expected financial results in its Q2, spearheaded by a 24% increase in online sales and comparable store sales of 0.8%, beating Wall Street expectations of flat same store sales. But the most intriguing part of the results may be the company’s positioning toward the future, in which Best Buy stores will further emphasize the sales and services of IoT/connected home devices. The electronics retailer, which recently celebrated its 50th year in business, may have maximized its advantage against Amazon and other e-Commerce sellers by making the IoT a point of differentiation. Debbie Hauss, Editor-in-Chief: It is a smart decision on Best Buy’s part to get ahead of the IoT phenomenon. 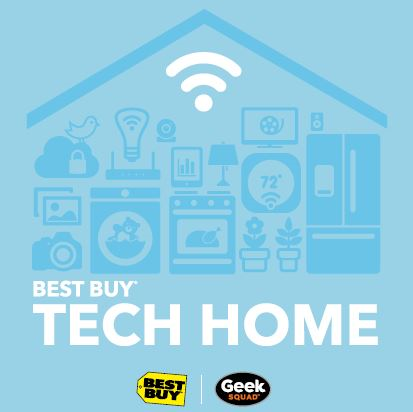 Even though the bulk of consumers are probably not quite ready to convert their current homes to smart homes, Best Buy is positioning itself to be on the forefront of this trend. If the brand markets the products and services effectively, many consumers will think of Best Buy first when they decide to purchase and install IoT devices. Best Buy also can beat some of the competition because it is known for its Geek Squad services; and I’m sure a lot of consumers are going to feel like they need expertise when it comes to installing, understanding and operating IoT solutions. Best Buy will need to keep a sharp eye on the competition — including Target and Amazon — as this segment develops. This is an excerpt only from this full article posted on retailtouchpoints.com.